Choosing new Delta Diamond Medallion Choice Benefits 2018 – What to pick depends on you! Delta PR folks were being tight lipped about what was on the way, but the good news is that just about all the info I broke last week is now confirmed plus even more with a few tweaks and updated info. Also, depending on your circumstances, what to choose is not as simple as it may seem at first glance. First things first. There really is nothing negative and Delta is NOT taking anything away from us and that in itself is remarkable and Delta should be praised for this! #KeepClimbing worthy. That is about it that is new and new-ish. Let’s break them down further as before you just click on stuff there is much to consider. Guest Pass choice is missing for now! One “ouch-ish” little bit is that if you decide to upgrade from individual club access to full executive access it burns 2 of your 3 choices. To be fair, to Delta they are thus not taking anything away from us but not really giving anything more if you choose this option. But it is important to note that club membership is very different from just getting “access” to the club. If you are a member you can enter even when flying another airline or, under most circumstances, enter other Skyteam lounges who have reciprocal membership rules. Just keep that in mind as we look at other choices. For me the “guest pass” option is not showing up as a choice even though I hold the Delta AMEX Reserve card and even on “My Delta” it shows that is how I will enter the club. Delta “Dot Com” support did confirm they are having some issues with this choice selection and will update the site later today! So should I or you choose this option? Maybe. Keep in mind, and they warn you about this, if you lose your access from whatever card or method you currently have you will also lose your guest pass privilege as well. And, with most of these other methods of access you must be flying Delta to get access vs. club membership that does not require you fly Delta to get in. Just something to think about. But the nice part is this guest pass choice burns only ONE of your THREE choices. The next one is a nice upgrade. There are so many times you really don’t need more miles as an elite. Now, either PM or DMs, can gift bonus points to others. Keep in mind these are SkyMiles NOT elite points. These are just points they can use to book an award or if they have a Delta AMEX card can be used with PWM or Pay With Miles or for all the other ways you can burn your miles nowadays (not that I am saying you should do them, just that you can). Love these two AMEX cards! For me this is best as I tend to fly with my wife or have a real need to be able to guest others into the club. Plus, my wife does have access herself as well via the non-Delta AMEX Platinum card so when on her own she is set. Also, I gifted her Gold status last year from my 2017 choice and she has that for another year or I would have picked Gold as one of my choices this year. I may still choose Gold vs. 25k SkyMiles and gift that to a golf buddy of mine as he is flying Delta more and more now and could really enjoy GM status for the next TWO years (again, from my 2018 choice). It is hard to find any real fault with these “enhancements” from Delta but I will nit pick a tiny bit of what could have made this even better. They have given us the option to gift SkyMiles to others. Very nice. But gifting ANY of the choices to others would be nice too. For example, sending Regional Upgrades to my wife would have been sweet. Or, gifting individual Sky Club membership to someone else would have rocked. But we can not have everything, right. Maybe for 2019 Delta will think about these ideas. Overall I really am thrilled. All the things we have come to know and love about the program including the MQD exempt waiver has stayed “as-is” and we can now focus on earning more MQMs and such for the next Medallion year. I myself am now sitting on 165,000 MQMs so just need 85k more to have my 2019 Medallion status all set. Good times! ← Were you delayed in the latest Delta CPU meltdown? There is now a link for compensation! Excited almost as much as I am confused! I haven’t made my 2017 Platinum and Diamond Choice Benefits yet. I am about 40K MQM’s away from 2018 Diamond status. Question I had is when is the best time to gift GOLD Status to someone to get the maximum time? @Sam – If you gift 2017 Gold CB they have it until 1FEB18. If you gift 2018 Gold CB they have it until 1FEB19. I may end up spending $50K on the Merrill Lynch card to get Executive Delta membership. Not sure yet whether to do that or not but definitely dont’ want to burn Choice Benefits. I hold the Delta Reseve and all of my Delta Status is through CC Spend on multiple cards with family members. I think this is good, but it would be nice if Delta would give us extra global or regional upgrade certificates for flying above the 125,000 threshold to re-qualify as diamond. Yes, I get to rollover my excess miles but why not give me one or two more certificates for reaching 150,000, 175,000 or even 200,000 flown miles? I am very happy. It will be so nice NOT to have to select all my Diamond choices at the same time. This was a real pain in the past. You mentioned in your previous post that there may be changes coming for PMs as well…any more info yet? @Wes – That was NOT confirmed. Nor are there any. Sorry. Time to make DM! Super pumped about being able to select one diamond benefit at a time. I have been wanting this for some time. Isn’t option 3 the best value here with a low mile cost whil preserving the choice benefits for something valuable like global certs? At least that is my plan for exec membership. Hold on a second… while I appreciate the opportunity to make the picks one at a time now it’s really not all that important (for me). Gave up on GUCs as almost all of my international travel is on paid first or miles in first. Might as well take the RUCs right away as they seem to be a bit more useful for my travels (we will see how well they open space in the future). But for those of us who have selected the executive membership in the past to be able to guest in fellow travelers it’s not a change, it’s actually MORE expensive as it require TWO of the three selections. A net gain of zero (or -1 depending on how you look at it). I will retain my Delta Reserve card for the foreseeable future so I guess I could burn one pick and get the guest pass option but on occasion I do fly other airlines it’s nice to still be able to visit DL lounges. I will ponder that for 2018. I kinda feel cheated based on the executive pass cost option now. Would have been nice to see them acknowledge those of us who hold the Reserve card and offer us executive membership with one pick but require two for those without the card. Oh well, such is life. One of the most important things to keep in mind (and I am seeing this mis-stated and misunderstood all over the internet right now) is that credit card holders are given Sky Club access, not Sky Club membership. So, you could buy a Sky Club membership outside of the Medallion Choice Benefit selections (with cash or miles) and then upgrade from there. I believe I might take the option to purchase an individual Sky Club membership using 47,000 SkyMiles and then using only one of my Medallion Choice Benefits Upgrade that to an Executive membership. For 2018 can DMs gift Gold status to three different people? @Wayne – Yep. Crazy right! Maybe I missed it? but I don’t see where it says how many SC guest passes you get if you choose that option? Rene – thanks for the update and tutorial on the choices. I want to confirm – for Diamond either 2017 or 2018, there is no way to choose more than one of the upgrade options (e.g. both the 4 global AND the 2 global / 4 domestic)? @Scott – Correct. We can only choose those once however as DM you do also get a PM choice as well and you can choose RU for that if you want to. Very true. Those are somewhat useful for the transcontinental trips. Nothing beats the International ones, however, and I use those up easily each year. Still overall, I think that Delta did the right thing here with the change. I’m glad to see that we are no longer duplicating benefits for those of us who have the card. Just an FYI, the third option for upgrading the club still seems to be missing. I still only see the single or full executive (uses 2 benefits) options. Not the upgrade only. This is probably a really noob question… Do you get one choice at Platinum and then a further three choices at Diamond? @Dave – Yep every year! I am DL Platinum for many years anyways received my choice benefits selection for 2017 also during this year I already qualified for Platinum for 2018 so they added choice benefits for that year already too. I will reach Diamond status this year in the next few months if I choose 4 regional certificates for 2018 Platinum status will I only receive the choice of 2 GUC & 4 RUC because I already chose them? Or should I choose the 4 RUC for Platinum now and then when I reach Diamond I will get the choice of 4 GUC still? Choice Benefits is based upon a Status change to Diamond or Platinum Medallion within a given Status year. Members who qualify for 2018 Status in 2017 will only be eligible for 2018 Choice Benefits. Choice Benefit selections for 2017 status need to be made by January 31, 2018; selections for 2018 Status need to be made by January 31, 2019. Once redeemed, Choice Benefits cannot be exchanged or replaced. Diamond Medallion Members may not select the same Choice Benefit twice for their Diamond selection for their 2017 Medallion year selections; they may choose the same benefit as their Platinum selection and one of their two Diamond selections. Diamond Medallion Members may only select Upgrade Certificates or Delta Sky Club access once for their 2018 Medallion year selections. Any feedback on how the Guest Pass Choice Benefit is being enforced? 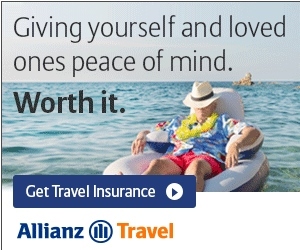 The wording on the site suggests it’s only for actual travel companions. Do the guests have to be in the same PNR? And do they have to be on the same flight? What if I run into my buddy Jim, who happens to be connecting in ATL just as I arrive home from somewhere else? Can I bring him in if I have this benefit on my account? Thanks! Thanks, René. I really haven’t paid attention to the SC process. I’ve brought guests into a Centurion Lounge, and Amex is definitely focused on scanning all BPs. I guess I presumed SC worked somewhat the same.